Ebola Arrives in Dallas: How Can Christians at Watermark Respond? Over the last week, DFW became the focal point of national news, local concern, and even some controversy as a Dallas resident was diagnosed with the Ebola virus. As is probably happening in your workplace, it’s certainly been a topic of conversation in the Watermark offices. But we also recognize this is no small issue – not for the person diagnosed, his community, or West Africa, where thousands have died from the disease. This week, the External Focus team had several conversations with local Christians connected – in one way or another – with the situation here in Dallas. They shared several excellent biblical responses we can all have in the midst of this situation (and others like it). How can the average Watermark member respond effectively to an international (or local) crisis like the Ebola outbreak? First, we pray (Phil. 4:6). We pray for the the people: the man who’s been infected locally, the staff of Presbyterian Hospital, and those the patient was in contact with – the eighty local individuals who are presently being monitored for symptoms. We should also let God use this local issue to remind us to pray for the thousands who are dying of Ebola overseas, as well as for their loved ones. They don’t have access to the treatments, the safety guards, or the amount of information that we do here in the States, and yet it’s easy for us to forget about a crisis halfway around the world. We learn. Christians should be informed about what’s going on in the world. If keeping an eye on global concerns is not your general practice, it might be a true spiritual discipline you should add. By staying informed, we know how to pray, how to help, and how to talk with others about the issues our world faces. We trust, and we share that trust. Admittedly, it is a little scary (or a lot scary!) to have Ebola in our own city. Do we turn fears like this to the Lord, casting all of our cares on Him because He cares for us? (I Pet. 5:7) And do we take opportunities with others – including our kids – to share that trust? It’s fine for Christians to have concerns about safety and to take precautions. But just as Paul encouraged us not to “grieve as those who have no hope” about death (I Thess. 4:13), we also shouldn’t be “concerned as those who have no hope” in the course of life! We take opportunities to impact others. There aren’t many more “teachable moments” than an exotic, deadly disease making its way to our own backyard. But it’s easy simply to “go with the flow” of conversations in our workplace, families, or friendships and miss the subtle – but powerful – opportunity to respond as Christians. Have you initiated spiritual conversations with your kids (Deut. 6:6-7) or others in your sphere of influence, along the lines of what we’ve been discussing here? We consider how God might have us act, whether directly or indirectly. You may not have any Ebola-related medical specialty to offer (although in a post next week we’ll share about a Watermark doctor who does!). And you may not know anyone who lives in Vickery Meadow, or who is part of the large refugee or international population in Dallas. But you could in the future! Maybe God will use this issue to spark something for you, your family, or your community group. As we mentioned above, we already have one Ministry Partner – Vickery Kids Club – that works among low-income and refugee kids. (Learn more about getting involved in their weekly meeting by clicking here.) We’re also looking at ways we could specifically reach out to the refugee communities in Dallas – email Benson Hines if you’re interested in that opportunity. Or God might use this issue to point you to a medical ministry – whether you have medical training or not. Our QuestCare Clinic is an amazing place to impact people right near Watermark, and there’s a clinic at Brother Bill’s Helping Hand, too. Finally, be sure to check out Watermark’s involvement overseas: Find ways to engage – from short-term trips to sponsoring orphans or water wells – at watermark.org/international. 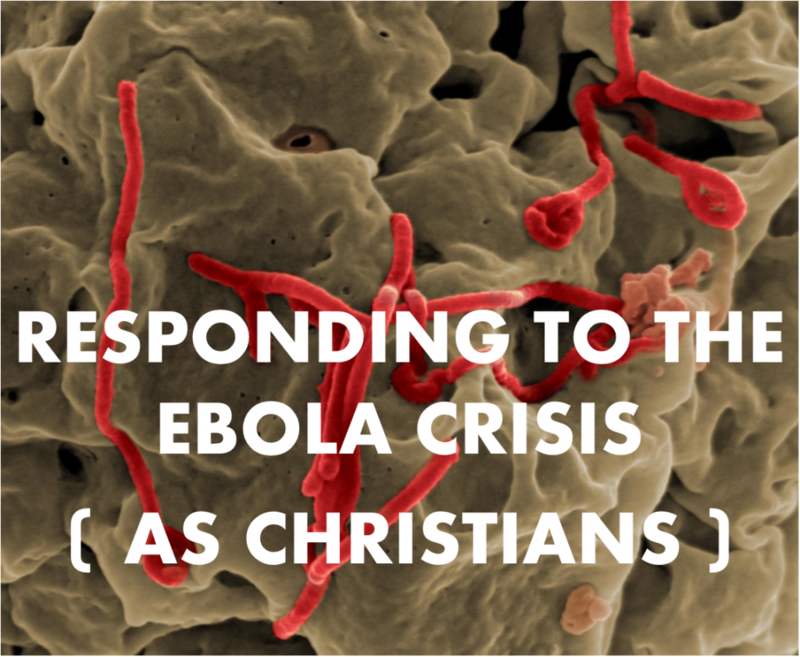 The post Ebola Arrives in Dallas: How Can Christians at Watermark Respond? appeared first on Watermark Community Church Blog. Watermark / Watermark Blog / Ebola Arrives in Dallas: How Can Christians at Watermark Respond?